Chicago Symphony musicians perform for free as strike lingers - SABC News - Breaking news, special reports, world, business, sport coverage of all South African current events. Africa's news leader. The musicians and the orchestra's association, which runs its affairs, are at odds over pay and - most importantly - over the future of the musicians' pension program. The striking musicians of the venerable Chicago Symphony Orchestra put on a free concert on Monday for fans, as an impasse with management that is being watched closely by the classical music world entered its third week. Approximately 800 people gathered in a union hall belonging to the Midwestern city’s school teachers, to hear one of the world’s great orchestras in a performance for the first time since the strike began. The musicians and the orchestra’s association, which runs its affairs, are at odds over pay and – most importantly – over the future of the musicians’ pension program. There have been no new negotiations in more than a week, and no further meetings planned. The high-profile strike has generated plenty of support from politicians and other labour unions. Even the Speaker of the US House of Representatives, Nancy Pelosi – second in the line of succession to the presidency – sent a letter to musicians last week. The orchestra members felt that support during Monday night’s concert. Enthusiastic applause erupted even before they began playing. “This is a world-class city, a world-class symphony, and there is absolutely no reason to have a labour strike for this long,” said audience member Kathy Shaevel, who is part of the teacher’s union. The classical music world – struggling with the converging trends of rising costs, and shrinking and aging audiences – is watching the strike with interest. 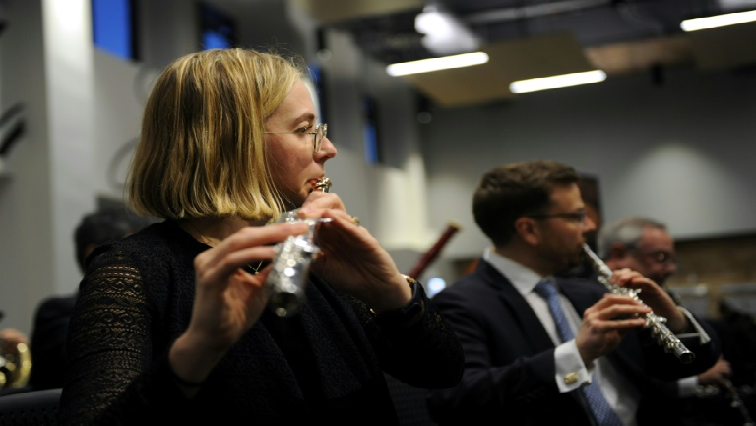 “If our wages and our benefits are being diminished, what does that mean for all the other orchestras and arts organizations out there?” asked flutist Emma Gerstein. The orchestra’s board of directors says it wants to protect the orchestra’s finances, claiming pension costs have skyrocketed and will soon be unaffordable. “We are eager to come to an agreement… securing a strong and healthy financial position,” Helen Zell, chair of the orchestra’s Board of Trustees, said in a letter Monday. But the musicians say the orchestra’s financial position is healthy and the traditional pension plan is affordable. Since 2011, important orchestras in Detroit, Pittsburgh, Philadelphia, and Minnesota have all experienced labour strife. Chicago last went on strike in 2012. This entry was posted on 26 Mar 2019,11:14AM at 11:14 AM and is filed under Lifestyle, Homepage Featured Story Slider. You can follow any responses to this entry through the RSS 2.0 feed. Both comments and pings are currently closed.